So, you’re sitting the middle of English class and hearing the teacher tell you that there are certain, hard and fast academic writing rules that just can’t be changed. The lecture about FANBOYS just flies over your head. You find yourself wondering, why is writing for school so hard? You write fan-fiction all the time and nobody seems to mind if you start with a conjunction. What’s with the unbreakable grammar rules? Truth be told, only your teacher says these rules are set in stone. In reality the teacher is feeding you nothing more than just grammar myths. 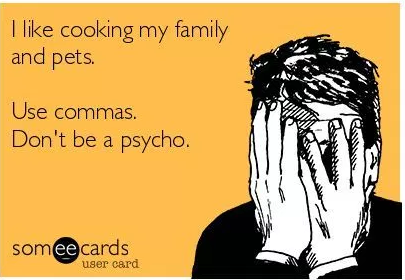 Yes, you read it right, there is such a thing as grammar myths. The so-called grammar rules can fly right out the window when you need to write casually and fast. It is by breaking these grammar myths that E.L. James, J.K. Rowling, and Stephanie Mayer, all became bazillionaires with their published books. They ignored the rules and just wrote well. It paid off for them in the end. So, if you want to be the next breakthrough young adult novelist, I suggest you start your career by taking note of the 10 most commonly debunked grammar myths. Let me get you started. 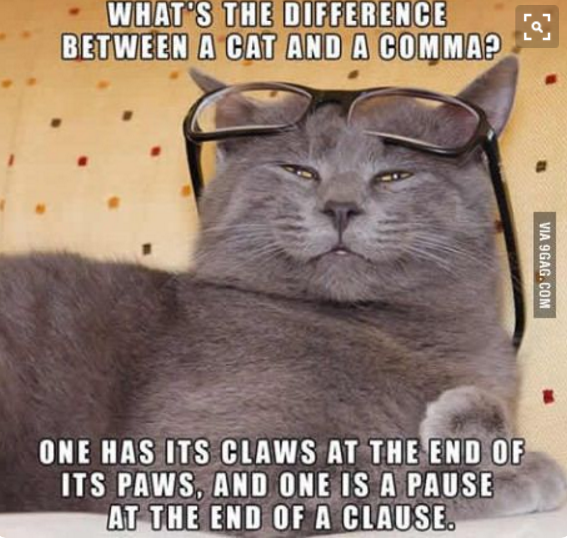 You can’t begin a sentence with a conjunction. This is where the FANBOY rule gets thrown out the door. Teacher just beg you to not use conjunctions while you are starting out in writing essays because the practice causes the writer to end up with sentence fragments and “megasentences” that contain a continuous flow of different thoughts, even though the thoughts are unrelated to one another. Like cannot be followed by a clause or be used to introduce examples. Like, how is that even possible? I mean, like, everyone says “like these days.” It’s hip and happening language. Like, that is the truth and it isn’t something that just came up today. William Shakespeare, the Great Bard, and Mark Twain were some of the more notable figures who constantly used “like” to start a sentence. Like, take it up with the greats teach. Infinitives must never be split. Au contraire my learned mentor. Sometimes infinitives actually need to be split. Blame this archaic rule on the translation of the Latin grammar rules to the English language in the 19th-century, when infinitives were actually one word, not two. So, since the rule is based on a dead language, that grammar rule should be considered dead as well. Don’t ever use a passive voice. And why not? There are actually instances when the passive voice needs to be used in passive sentences. BTW, BE-VERB doesn’t always signal a passive voice. Just feel it out. If the writing feels right in the passive voice, then go for it. Whatever works for you. A double negative is cool. It’s a good thing. It just means that you totally believe in something, without any doubt. None isn’t always singular. Assuming such a thing is just as bad as assuming a gender. None doesn’t always indicate a single form. It is a word that belongs to the modern family of words that are both singular and plural in form. The word “whose” doesn’t just refer to people. Does anybody know who started this silly rule? The term can also be used to refer to an inanimate object like a car. It’s a word that’s been used for years as a genitive or possessive form of a word. So, whose idea was that? A sentence can’t end in a preposition. This is just as funny as the “split infinitive” rule. Uh-huh, it’s part of the mistake in translating the Latin grammar rules again. Here’s wishing someone would stop trying to apply the rules of a dead language to a living, breathing, and evolving one, which happens to be Germanic in origin. Whatever you do, don’t start a sentence with “Hopefully” or “Thankfully”. It actually sounds better when you start your sentences with those words because it connotes happiness and positivism. The only reason teachers don’t want students doing that is because it is hard to reword the sentence adverbs. But hey, were just trying to have fun writing here. No harm, no foul. Just because it’s slang, it doesn’t belong in proper grammar. Most slang words or sentences have actually come to be a part of everyday language over time and become properly acceptable in most academic and casual writing circles. It’s a matter of writing style. I mean, if you want to write like a 19th century poet, then go ahead and go overboard with formalities. Otherwise, writing in fan-fiction mode is perfectly acceptable in most circles. Debunking grammar myths is easy to do. Shaking off the teacher’s influence in order to become more comfortable with your writing style is another thing. Hopefully, the truth of the grammar rules as discussed here can help you become more comfortable as a writer and a speaker. Remember, there’s no wrong way to write provided you get your message across.